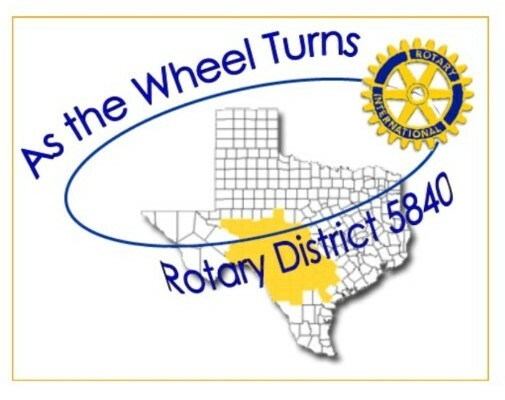 Welcome to Rotary District 5840, covering 44 counties in beautiful South Central Texas. We now have 2521 Rotarians in 57 clubs and 3 satellite clubs. We began as District 584 in 1912 with The San Antonio Rotary Club organized by Herbert J. Hayes. Registration is now open for the May 18th Rotary Leadership Institute. For more information and to register, click h ere. Register today, to join us for the 2019 District 5840 Conference, May 3-4, in San Antonio, Texas. The weekend will be filled with lots of fun activities, to include Wine Country Tours, local shopping, a golf outing, great speakers and breakout sessions. Something for everyone! EACH PERSON ATTENDING MUST REGISTER SEPARATELY. To register, click here. 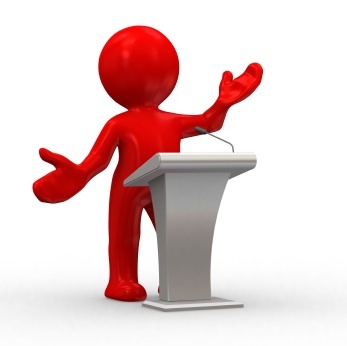 For a schedule of meeting activities, click here. For a list of excursions, click here. 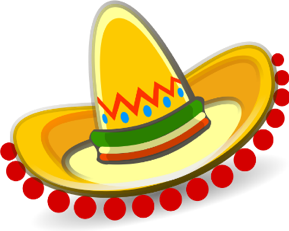 Let the Fiesta Fun Continue with These Excursions! 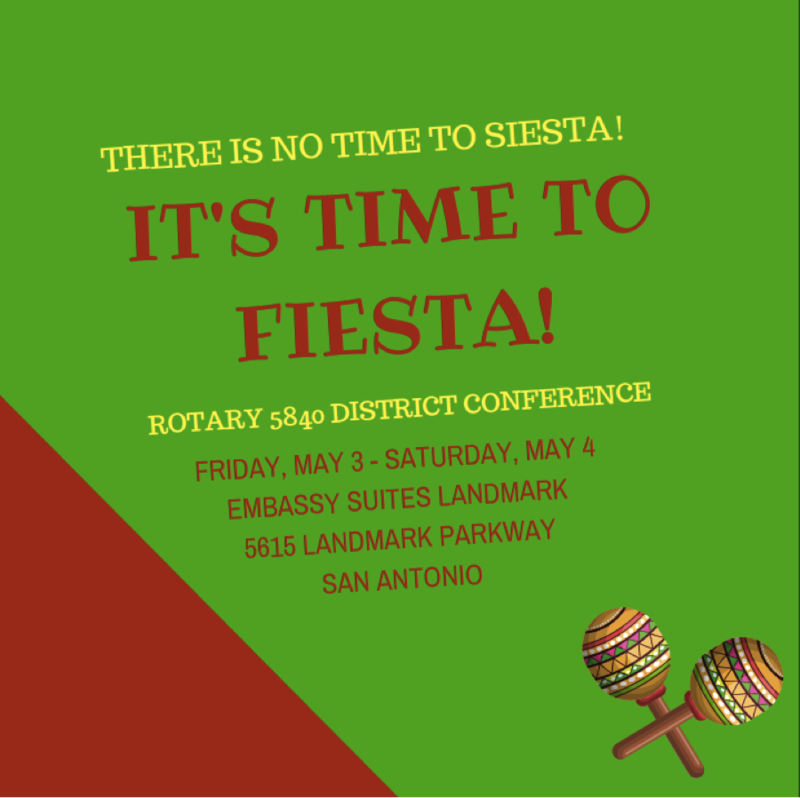 Here is a list of activities that you and your spouse may choose to participate in during the Rotary 5840 District Conference weekend in San Antonio! Some are free while others have a cost associated with them. The DC Committee has worked hard to negotiate special pricing for all the “extracurricular” events! Please note that MOST require you sign up in advance. Please adhere to this requirement as the hosts of the event MUST have a head count! Click here for a full list of activities. The Rotary Club of San Antonio at the Dominion was recently featured in a local magazine. To read the article, click here. Check out this month's Zone Newsletter here. Reconnect with Rotary through the new District 5840 Rotary Passport Club! This is a unique type of Rotary Club with flexible attendance where members participate in meetings and events of multiple clubs of their choice helping in service projects, fundraisers, and most of the things traditional club Rotarians do. The new Club's membership focus is on former Rotarians and Rotarians who are considering leaving a club due to schedule commitments. District Governor Kathy Hubbard is trying to increase awareness about Human Trafficking. To learn more about this growing issue, take a moment to view this video, from the Texas Attorney General. Click here to view the video. Does your club have a fundraiser this year? If so, why not advertise it on the District Website? We have some new satellite clubs in District 5840. Need a makeup? Here is more information.